I was using this futon for about a year while still living at my parents house in my bedroom. It made a great couch. It looks much like leather and is comfortable.The only issue I had with it were the legs. They kept falling off, shifting and ultimately breaking. The 2 front legs are on a bar that is slanted backward (I guess a design idea). The brackets and screws securing the front legs did not allow the screws to get a good hold on the wood part of the futon. One day the front legs folded and I discovered that the screws were broke off on one end. Garbage. And the back legs are even more cheap. They screw into the back in an area with very thin wood. While moving the futon back into place, the one foot bent a bit and ripped completely loose from the futon.I'd recommend that anyone looking to buy this buys 4 matching screw-in replacement legs from a hardware store and just installing them.I ended up just sitting the futon on 4 cement bricks as a base. It is stable, sturdy and very comfortable that way.I understand that this is a walmart cheepie, but come on! The legs are the most important part! Include something sturdy and of some quality! Home territory searches the web to find the best prices and availability on Futons and related products foir your home like DHP Delaney Splitback Futon Sofa Bed, Multiple Colors. For this page, related items include products we find that match the following keywords: "Futon" at our vendor partner Walmart - Click More Info / Buy Now to check for price rollbacks!. 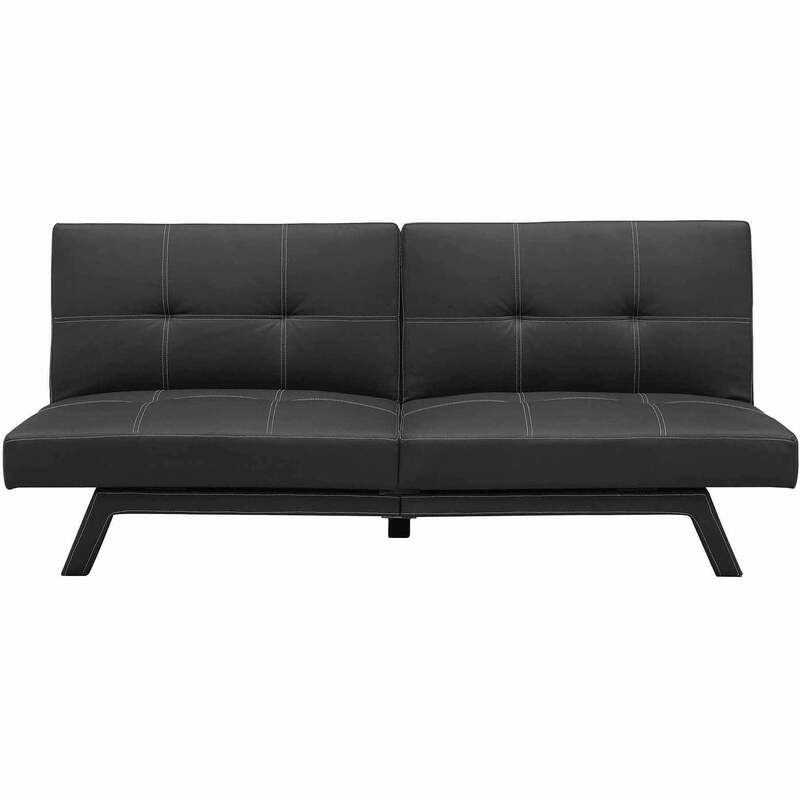 DHP Delaney Splitback Futon Sofa Bed, Multiple Colors is one of 61 Futons and related products available for sale through HomeTerritory.com, If you have any questions on this product, please give us a call at 734-971-1210 during the hours of 9am - 5pm EST for assistance. Thank you for shopping at Home Territory, the home furnishings superstore!